A nice quick and easy appetizer for the current and upcoming holidays (depending on what you celebrate). This dip tastes fresh, creamy and DILL-icious! Perfect with vegetables! And once you make it you will wonder why you ever bought dill dip in the store it is just that easy! Mix together the mayonnaise and sour cream until well combined. Add the garlic, onion powder, and dill and mix together. Yummy dip, Happy Easter Jessica! Easy enough, and I like anything flavored with dill. yum! This sounds delishhhh – I love dill! I have some fresh dill in the refrigerator that needs to be used and this is perfect. 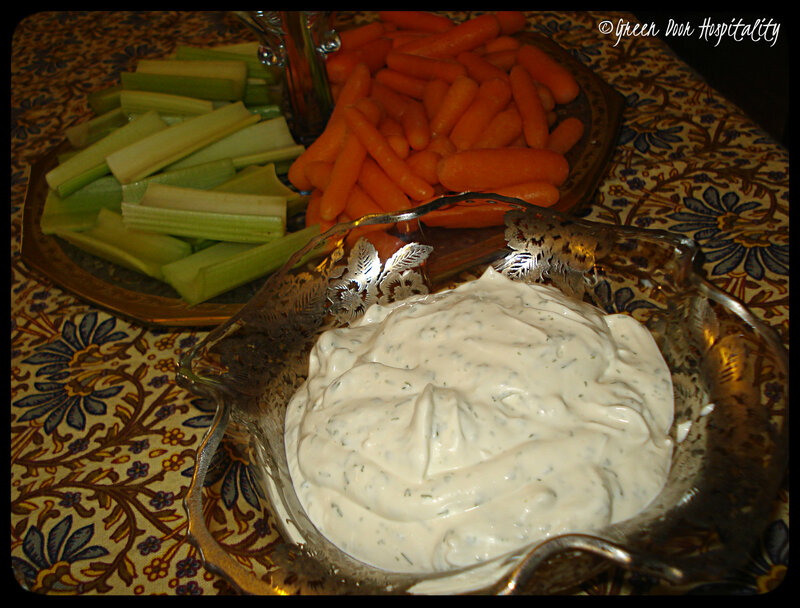 This entry was posted on April 18, 2014 by Jessica Romigh in Simple Appetizer Alert and tagged appetizer, dill, dill dip, garlic, homemade dill dip, mayonnaise, onion powder, sour cream.